Visit Fairfax President & CEO Barry Biggar recently visited with the Tysons Hotels General Managers’ Council to speak about the state of the industry. 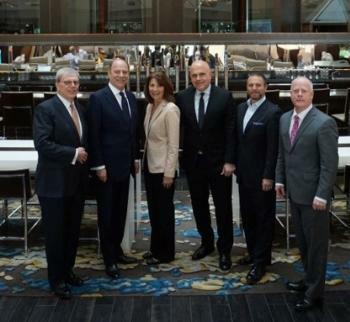 The council brings together the nine full-service Tysons hoteliers who work to advance and strengthen the area’s hospitality business. Pictured, left to right: Brian Kelleher, Barry Biggar, Trish Drews, Tod Morrow, Jon Davenhall, and Dan McKeon.